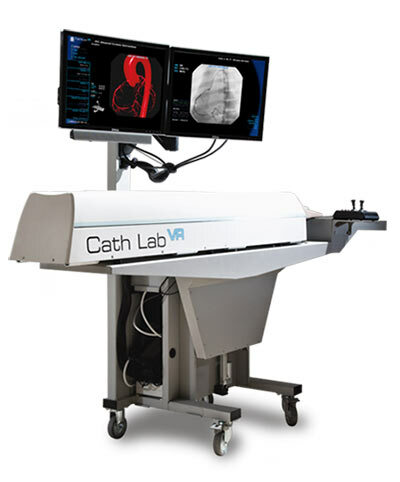 CathLabVR offers true-to-life tactile sensations of the forces encountered when manipulating wires, catheters, balloons and stents within a patient. Learners are able to practice accessing and navigating diverse anatomies with cardiac and vascular abnormalities. The repetitive practice and challenging cases allow learners to develop skills and confidence in a risk-free environment. The CathLabVR Interventional Simulator, we perfect what it’s like to practice endovascular diagnostic and interventional procedures.